Hailed as a "vast, superb history that] relates Scotland's past over a dozen millennia" (Kirkus Reviews), Magnusson draws on a great deal of modern scholarship to redefine a nation's history. He charts the long struggle toward nationhood, explores the roots of the original Scots, and examines the extent to which Scotland was shaped by the Romans, the Picts, the Vikings, and the English. Encompassing everything from the first Mesolithic settlers in 7000 B.C. 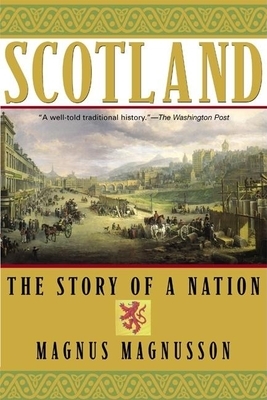 to the present movements for independence, Scotland: The Story of a Nation is history on an epic level, essential reading for anyone interested in the rich past of this captivating land.